Lord of Misrule bath bomb: "Inspired by the ruler of the Pagan Feast of Fools, Lord of Misrule brings mischievous revelry to the tub with a spicy herbal blend of patchouli and black pepper oil. As it slowly froths in the water, hypnotic swirling silver luster is released and the deep green exterior soon gives way to a rich, wine-colored center. Just like at the Feast of Fools, when the wine begins flowing, the revelry really begins! Popping candies fizz and crackle, creating a world of magic and mischief right before your eyes." via LushUSA.com. 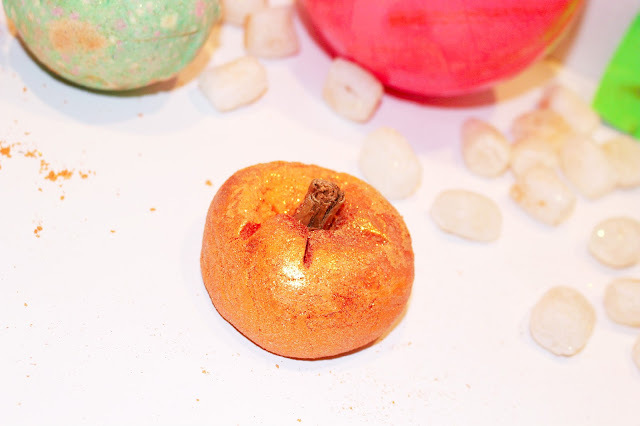 Sparkly Pumpkin bubble bar: "At the end of a long day, pop this Sparkly Pumpkin into the bath. As you crumble its golden shimmeryness under running water, you’ll feel instantly re-energized. 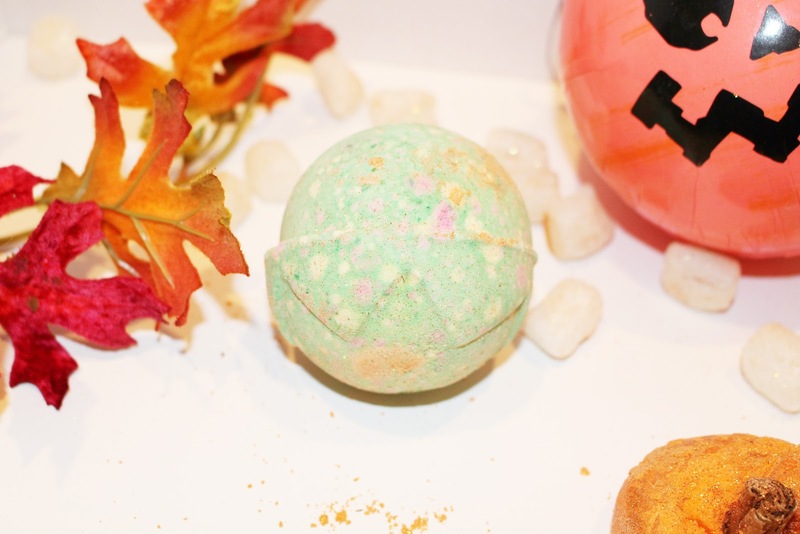 An uplifting blend of juniperberry, grapefruit and lime oils will fill the room with an enticing, cocktail-like punch. And as you sink deep under the glittering gold water, you won’t be able to keep from smiling – probably because this little pumpkin is made to make every day bright." via LushUSA.com. ...All packaged together in a wrapped pumpkin. Shout out to my best girlfriend for making my month & sending this my way! Super stoked to bathe in a tub filled with glitter bubbs + experience my first bath bomb. 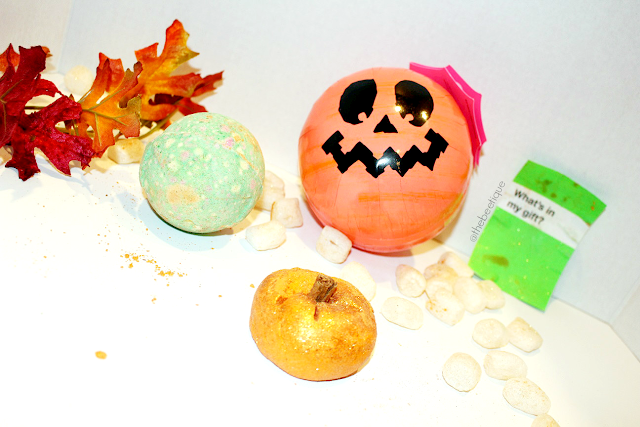 Have you tried any of LUSH's limited edition products? What'd you think? Next up: Christmas. 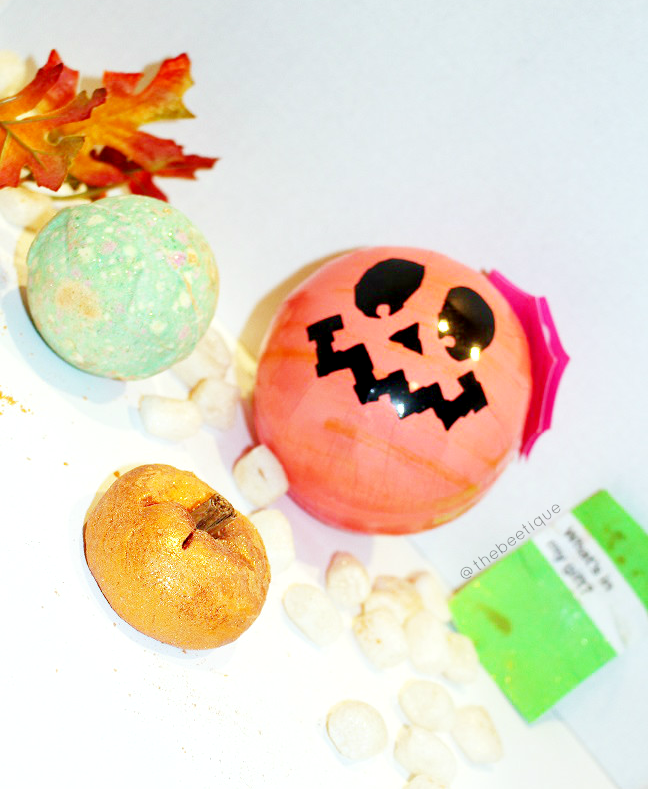 2 comments on "LUSH Limited Edition x Halloween Themed Bath"